Sustainability – Because it’s the right thing to do! While there are many definitions of Sustainability, the most widely accepted is the definition developed by the World Commission on Environment and Development which reads as follows: “Development that meets the needs of the present without compromising the ability of future generations to meet their own needs.” In short…what can we do today to conserve the natural resources and protect the environment for future generations. Recognizing the importance of Sustainability, the President of the United States has issued two Executive Orders. Both EO 13423 entitled “Strengthening Federal Environmental, Energy and Transportation Management” and EO 13514 “Federal leadership in Environmental, Energy and Economic Performance”, define policies and goals being implemented by the Federal Government to safeguard the environment. To achieve these goals, the Federal Govt. has implemented a variety of programs to increase energy efficiency, conserve and re-use resources and educate employees on how they can participate in their everyday lives. Recognizing the importance of Sustainability, Security Engineered Machinery (SEM) has become an ISO 14001 Registered company. This difficult to attain Certification demonstrates the business practices deployed by SEM to meet sustainable guidelines of energy conservation, recycling and protection of the environment not only in operating the company but in the products marketed and sold by the company. customers move closer to solid waste goals and increase LEED ratings. The disintegrators themselves are also designed to conserve energy. They deploy energy saving motors to reduce energy consumption and are designed with precision balanced Solid Steele Rotors from which their weight and mass allow them to shred more material with less horsepower and electrical consumption. Experts say that this design saves 15 to 20% energy in comparison to “open rotor” designs used by many competitors which may need 50% larger Hp motors to achieve the same capabilities. 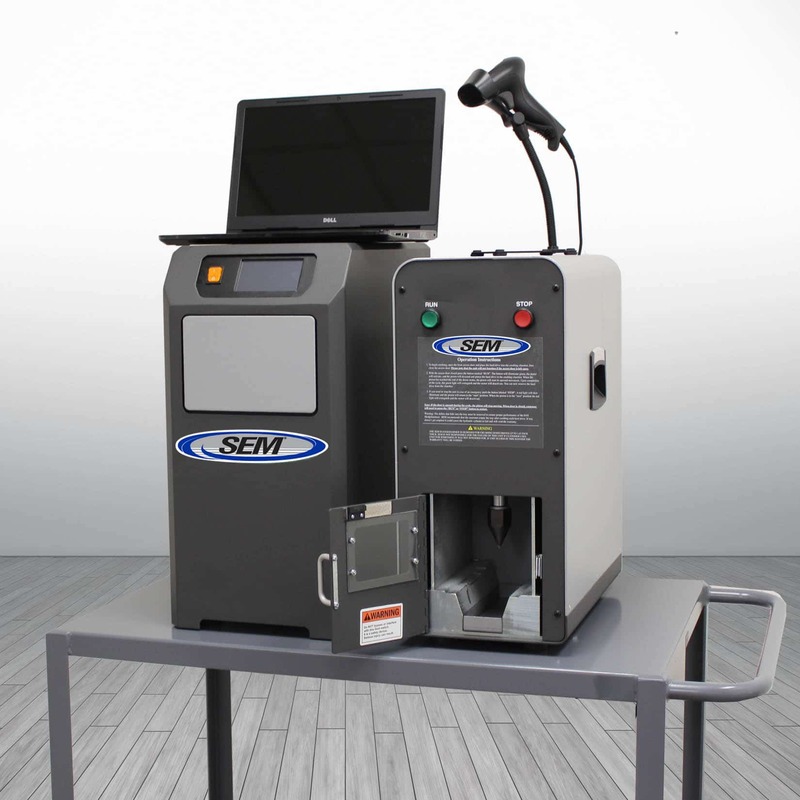 In addition to the various sustainability features available in our large Disintegration systems, other examples of SEM’s commitment to sustainability include Paper Shredders that have been awarded the prestigious Blue Angel Certification, a world renown designation that validates the eco-friendly features of each shredder, Hard Drive Destruction systems that allow for the shredded metals to be easily recycled and Magnetic Media Degaussers with energy saving features and components to reduce energy consumption.